​Joe is shopping for a music player with his friend Luke. Luke: Here’s a good MP3 player. Joe: How much is it? Luke: It’s a hundred ten dollars. Joe: Oh, I don’t have enough. Luke: How much do you have? Joe: I only have a hundred dollars. Luke: How about this one? It’s ninety dollars. ​Joe: Yeah, I’ll buy it! About how much did you spend on presents last year? About how much do you usually spend each day? Are you saving money to buy something? If so, what are you planning to buy? How much longer will you need to save before you can buy it? Do banks pay a higher percent of interest here or in your country? Do you ever give money to charity? How often do you give to charity? Do you give tips at a restaurant in your country? How about to taxi drivers? Do you haggle when you shop ? Do you have a credit card? If so, do you have more than one? Do you have more than one bank account? Do you have to pay a sales tax in your country? Do you often put money in the bank? Do you sometimes buy things that you don't need? Do you sometimes give money to charities? How often do they give it to you? Have you ever owed money to people? Have you ever found any money? If so, what did you do with it? If you had no money, do you think you could be happy? 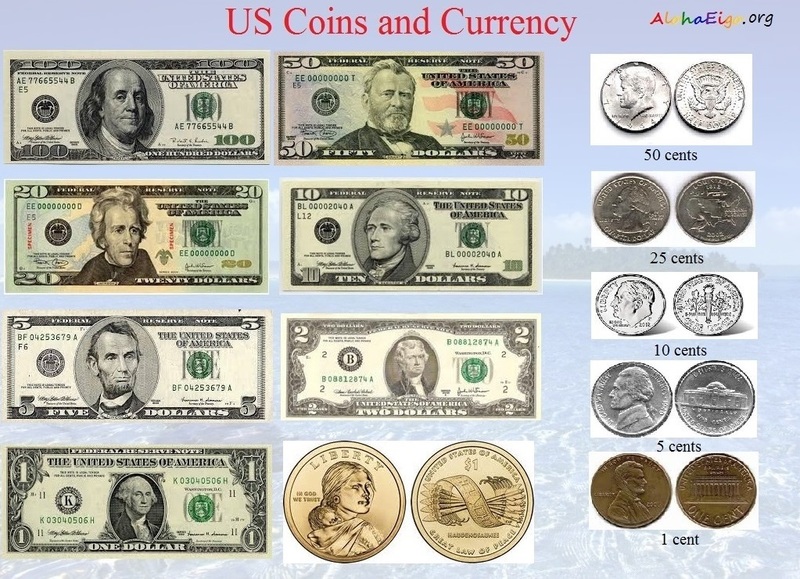 How many different kinds of coins are there in your country? What are they? How much did you spend last week? How much do you have to spend to eat a good meal at a restaurant in your country? How much do you think it costs to fly to Guam? How much do you think it costs to stay at a hotel in London? How much do you usually spend each month on food? How much do you usually spend each month on transportation? How much does it cost to get a haircut in your country? How much does it cost to ride a bus in your country? How much is a liter of gasoline in your country? How much money did you make on your first job? Where did you spend it? Do you often spend that amount in one day? How much money did your parents give you for an allowance when you were ten years old? How much time did you spend the last time you went shopping? If someone gave you a lot of money, what would you do with it? Some people say that "money makes the world go around." Do you agree? Why or why not? What do you need to buy next? What do you spend the most money on each month? What do you want to buy next? What is something that you have bought recently that cost a lot of money? What is something that you have bought recently that was a good bargain? What is something that you have bought recently? What is something that you want to buy, but don't have enough money to buy. What is something that you want to buy, but think you never will. What is the average salary in your country? What kind of things do you often shop for? What kinds of things are you saving your money for? What store did you like best and what store did you like least? What's the most expensive thing you have ever bought? What's the most expensive thing you've ever bought? What's the most money you have spend on one thing? What's the most money you have spent on something to eat? What's the most money you have spent on something to wear? What's your favorite shopping area or store? When did you buy it/them? Where do you usually buy food? Where is your favorite shopping area? Which costs more, a hamburger in America or a hamburger in your country? Which costs more, your telephone bill or your electric bill? Which do you prefer, large stores or small stores? Which do you think is more important, love or money? Which store do you go to the most often? Who do you often go shopping with? Who do you spend money on? In a marriage, do you think one person should handle the finances, or both? How do you think money helps make us happy? Do you think money is more important than love? How much money do you want to earn each month? What qualities must a person have to make BIG money? Should children get an allowance (pocket money) from their parents? When do you get your allowance? How do you usually spend your money? What do you usually buy? How much do you give to your children? Do you ever give money to beggars on the street? Why or why not? Do you ever give money to charity? Why or why not? If you found 100,000 won (or local currency) in a bag on the street, what would you do? Keep it? Do you want to buy something special? Who takes care of the money in your house? When you buy something, do you "shop around" and go to many stores to compare prices? When you buy something, what is most important to you: price, quality, fashion trend, status/image? Explain these proverbs:	What do they mean? Say them in other English words. Save your pennies for a rainy day. You can't take it with you when you go. Would you spend it on yourself, put it in the bank or buy something for your family? Would you spend it all? What is the most you have ever spent on a gift? If you had to save money, what can you do without? I would stop spending money on ___. If you needed to earn some extra money, how would you do that? If you had a large amount of money, what would you do with it? Have you or your family ever won any money in a lottery? How much money would you have to win to be happy? What do you do if you can't get the clerk's attention at the store? Is it easier to return items in the U.S. or in your country? If you can't find an item at the store, do you find a clerk and ask for help, or do you leave and go somewhere else? If you don't want help when the clerk asks if you need help, what do you say? Is it OK to bring children to the market or the department store? Is it bad if one person or company controls the market that it specializes in? For example, is it wrong for Microsoft to control most of the operating system software in the world? Do you consider companies like Microsoft and people like Bill Gates smart and shrewd? What is the most ridiculous tax in your country, past, or present? What is the effect on the economy of high taxation? What is the effect on the economy of low taxation? What are some of the different kinds of taxes your country has? What is the funniest tax you can think of to introduce? What do you like spending money on? What don't you like spending on? What would you love to buy but you can't afford? What is the next "big" thing you are going to buy? Have you ever given money to people who beg in the streets? Do you have a credit card? How many? Is it better to pay cash or by credit card? What things do you pay cash for? What things do you pay by credit card? Do you pay your credit card on time? Have you ever paid late your credit card? What happened? Are credits cards a good thing? Do/Did your parents give you an allowance? How much? Have your parents ever given you a credit card to pay for something? What did you buy? Have you ever lent money to someone? Who? What did he/she need the money for? Have you ever borrowed money from someone? Who? What did you need the money for? Who wouldn't you lend money to? What kind of lottery do you play? Do you play football pools? Do you play slot machines? How much money do you spend for your son to go to the college? Can I put my money in a Swiss bank? Why do I always spend too much money? How much money do you need for happiness? Are you a price-conscious shopper? Do you "shop around" and go to many stores to compare prices? Do you ever buy second-hand things ("used things")? When you buy something, what things are most important to you? Price? Quality? Fashion trends? status? or image? Do you haggle (bargain with the seller) when you shop? Do you give tips at a restaurant in your country? At a bar? How about to taxi drivers? To hairdressers? At hotels? At airports to people who carry your bags? Do you feel comfortable tipping? Do you have more than one credit card? What bank do you use? Do you like the service you receive? Do you think that taxes are too high? If so, what are you planning to buy? How much will it cost? How much longer will you need to save before buying it? Do you agree with the Beatles that "money can't buy you love"? Did your parents give you an allowance (pocket money) when you were a child? Should children get an allowance from their parents? Do you ever gamble? Did you win anything? Have you ever found any money on the street? If so, what did you do with it? Do you ever give money to charity? How much do you give? Have you ever given money to a beggar or homeless person? Have you ever had any money stolen from you? What happened? What would you love to buy but that you can't afford? What would you do if you won a large sum of money? What is the first thing you would buy with it? Would you invest it? Would you give some money to charity? Would you help your family/friends? How long would it take you to spend 1 million dollars? How important is money to you? If you had little money, could you be happy? How much do you spend each month on food? Where do you usually buy food? What do you spend most of your money on each month? How much did it cost you to fly here from your home country? How much does it cost to get a haircut in your country? Here? How much does it cost to ride a bus in your country? Here? How much is a liter of gasoline in your country? Here? Which costs more, a hamburger here or a hamburger in your country? Some people say that "money makes the world go round." Do you agree? What is something that you bought recently? What is something that you want to buy, but think you never will? When did you open your first bank account? How old were you when you earned your first salary? What did you spend it on? Do you think that it is right for someone to beg for money? Would you give money to a beggar? Why? When you buy something, what things are most important to you: price, quality, fashion trends, status, or image? Do you have more than one bank account? Are you good at saving money? Have you ever bought a lottery ticket? Did you ever gamble? How much did it cost you to fly to here from your home country? If you had to save money, what could you do without? "I would stop spending money on ___". Why are poorer people in many cases more generous than rich people? If you don't want help when the store clerk asks if you need help, what should you say to them? If you were the leader of your country, what would you do to change the taxation system? What would you do to help your country's economy? Which shopping centers and stores do you like best and which do you like least? What was the last thing you bought for someone else? Why did you buy it? Who takes care of the money in your family's home? What qualities must a person have to make "big money"? Do you often buy products that advertised on TV, newspapers or magazines? If so, what was the last item that you bought? Do you consider consumerism good or bad? What differences can you notice between commercials from 10 or 15 years ago and commercials today? Can you explain these proverbs in other words?